Some good news for voters in the state of Florida: a federal judge has made it so that voters sending in their ballots by mail will now have a chance to fix them to make sure that their vote actually counts. The Associated Press reports that U.S. District Judge Mark Walker ruled that county election officials in the state of Florida are now required by law to notify voters if the signatures on their vote-by-mail forms don’t match the ones on their voter registration. If that is the case, voters have the chance to fix the error by 5 p.m. the day before the election. The ruling is the result of the Florida Democratic Party suing the state in regards to a strange discrepancy in the previous law that allowed election officials to discard ballots with mismatching signatures. 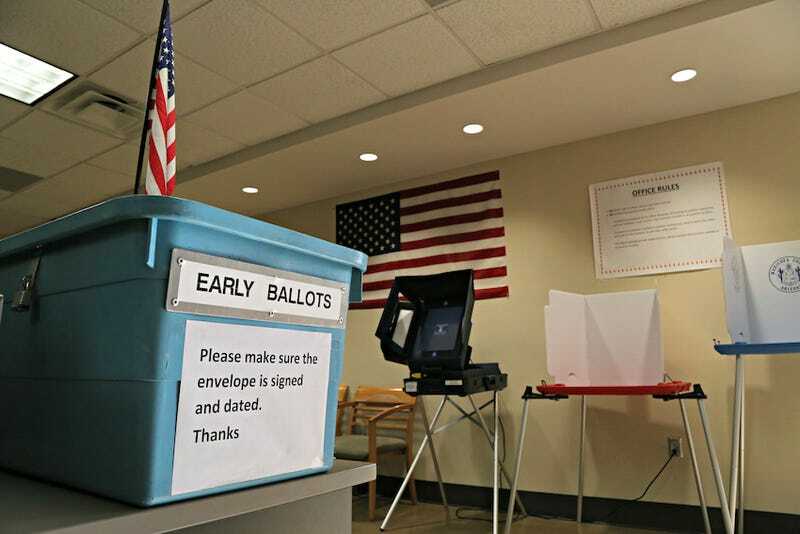 Voters also weren’t notified of the signature issues until after the election, but Florida state law required election officials to alert voters ahead of time of any issues. None of that makes any sense in the slightest and seems like a recipe for voter disenfranchisement to me! For those keeping score at home, recent polls indicate that Hillary Clinton currently leads venomous teratoma Donald Trump 48% to 44% which is a little too close for comfort, if you ask me. Hopefully this ruling tips the balance enough to matter.